A new sushi bar and Japanese spot has made its debut in the neighborhood. The new addition to Cambrian Park, called Ginza Sushi, is located in the former House of Meatball space at 3153 Meridian Ave. Here you'll find classic rolls, nigiri and sashimi, hot appetizers like gyoza and edamame and cold ones, like oysters and scallop tiradito. Fusion sushi options include tuna with spicy garlic ponzu, mustard dressing and micro greens, and hamachi with carpaccio sauce, garlic chips, jalapeno and cilantro. For variety, try the bento boxes for either lunch or dinner. The new sushi bar has proven popular thus far, with a 4.5-star rating out of 16 reviews on Yelp. And Jer P. wrote, "I have never had better sushi in my life. They give you hearty rolls with generous portions of fresh fish. I know this place will be around for a long time, because you'll see the love they put into their food." 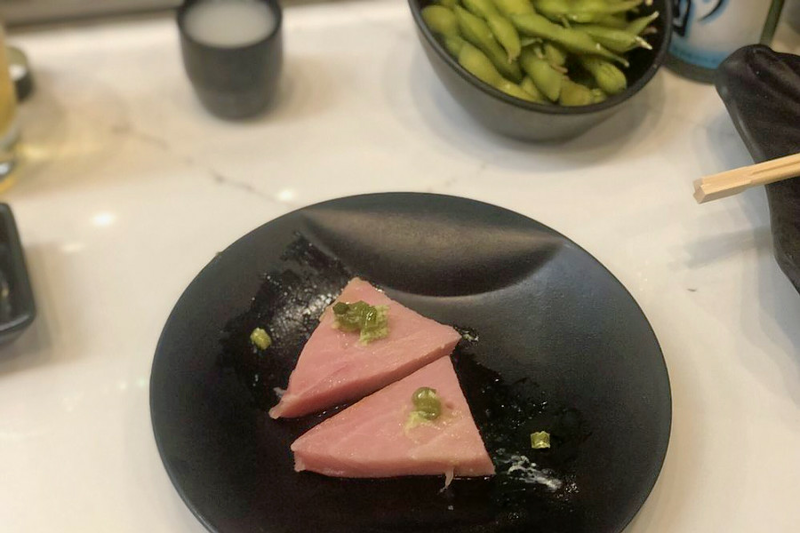 Head on over to check it out: Ginza Sushi is open from 11 a.m.-2:30 p.m. and 5 p.m.-9:30 p.m. on Sunday-Thursday and 11 a.m.-2:30 p.m. and 5 p.m.-10 p.m. on Friday and Saturday.